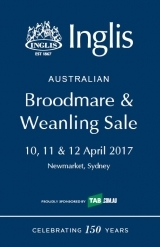 Buyers will get their first chance to invest in weanlings and broodmares at the time-honoured Inglis Australian Broodmare & Weanling Sale. 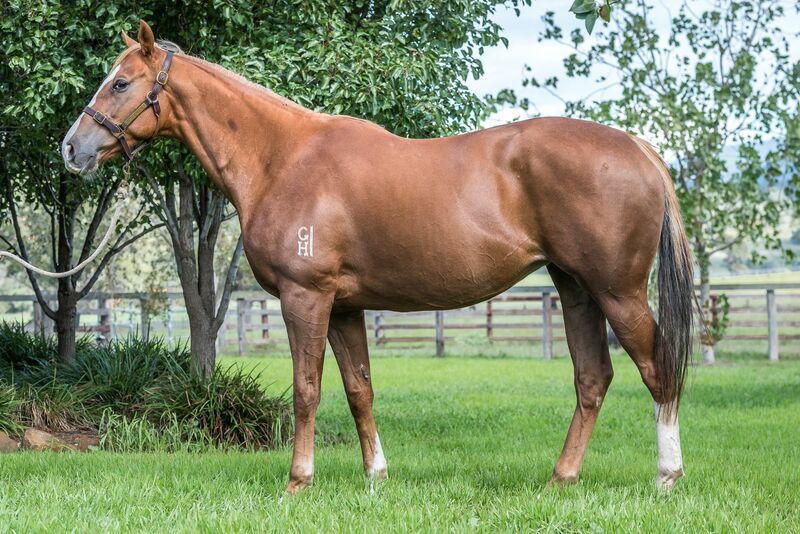 In total, 549 Lots will be offered over the three days of the Broodmare & Weanling Sale from April 10-12. 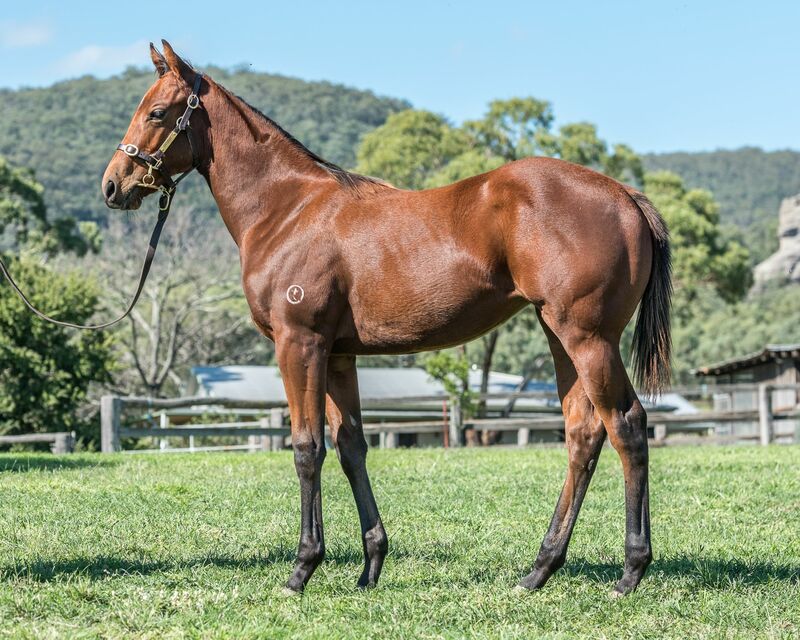 All 137 weanlings will be offered on Day 1 of the sale (Monday April 10) from 1pm, while 38 race fillies and the 374 broodmares catalogued will be offered from 10am on the remaining two days. The strong catalogue is filled with highlights. 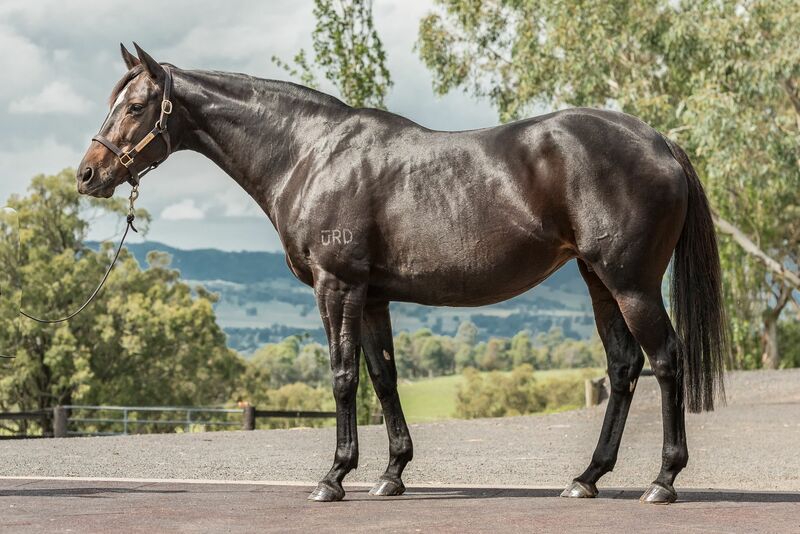 Weanlings by proven sires such as More Than Ready, So You Think, Choisir, Star Witness, Hinchinbrook and Sebring are supported by promising second and third-crop sires including All Too Hard, Dundeel, Your Song, Epaulette, Zoustar, Uncle Mo and Sizzling. 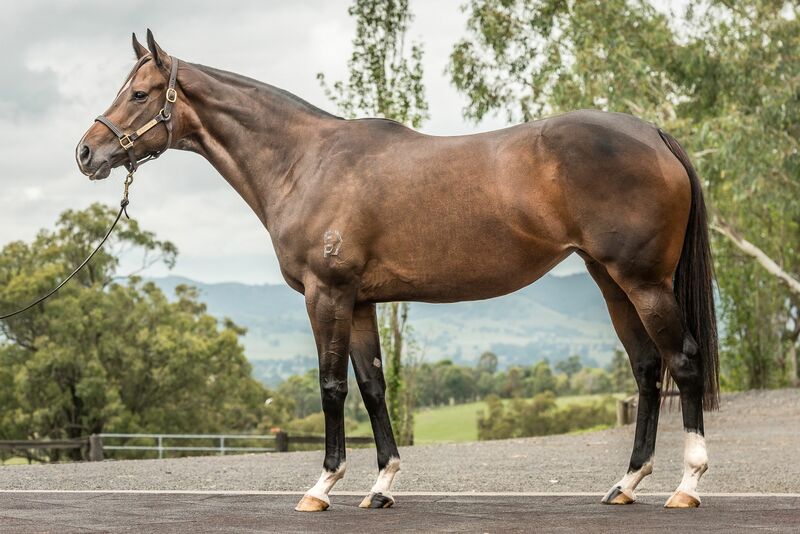 Plenty of buyers will be keen to inspect the first youngsters by the exciting group of freshman stallions including Dissident, Shooting To Win, Deep Field, Olympic Glory, Rubick, Time For War, Adelaide, Sidestep, Toronado and Verrazano. 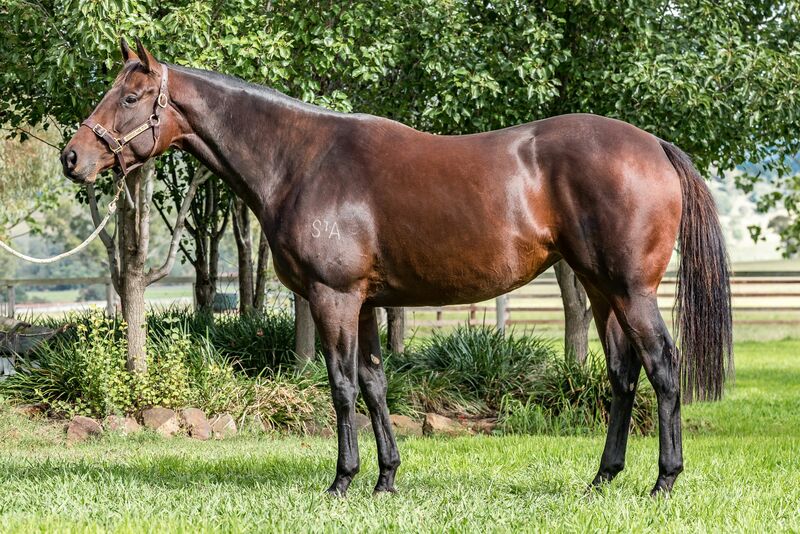 The strong broodmare section features mares in foal to leading sires including Written Tycoon, I Am Invincible, Exceed And Excel, More Than Ready, So You Think, Choisir, Hinchinbrook and Lonhro. 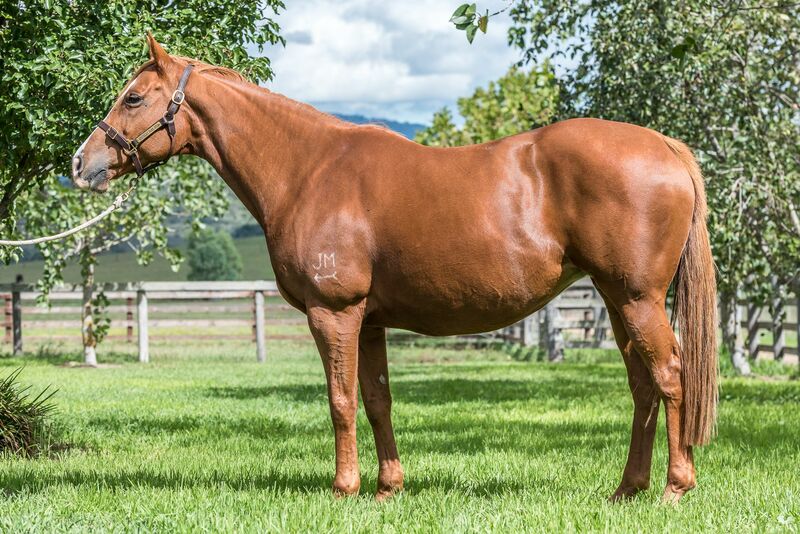 The catalogue also features mares in foal to highly-credentialed first crop stallions such as Kermadec, Headwater, Pride Of Dubai, Exosphere, Press Statement, Scissor Kick, Super One and Vancouver. 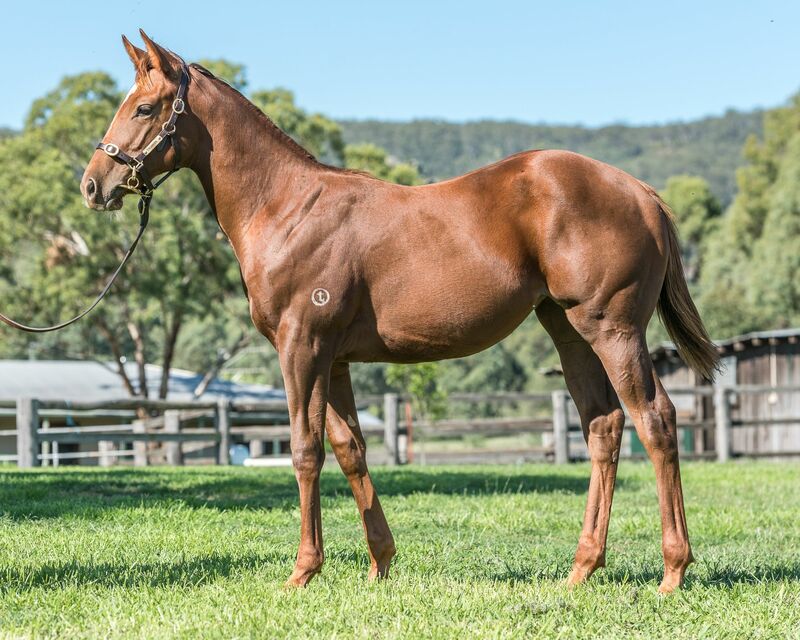 Inglis’ National Bloodstock Director Jonathan D’Arcy was thrilled with the strength of the catalogue. 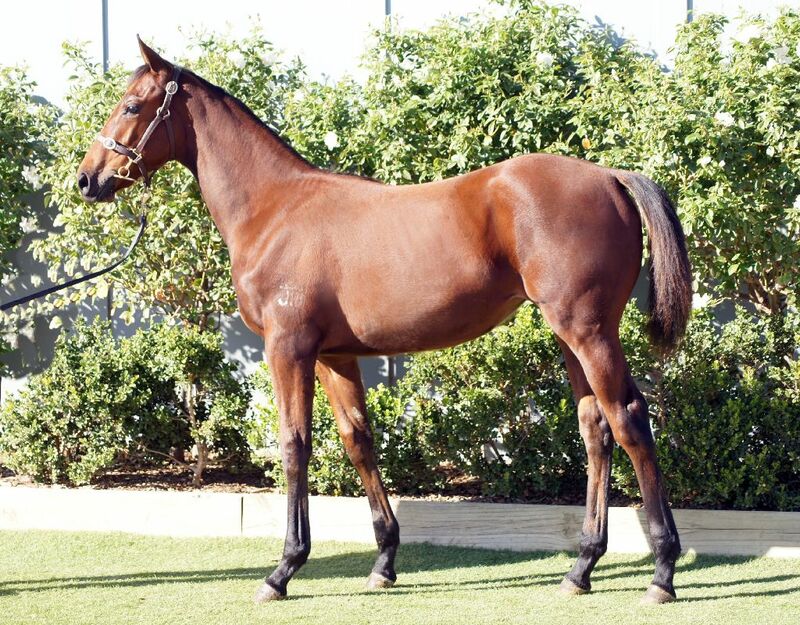 “Year after year this sale provides investors with outstanding opportunities, be it for pinhooking weanlings to the following year’s yearling sales or for breeders looking to buy well related mares in foal to the Hunter Valley’s wide array of stallions,’’ D’Arcy said. 68 Withdrawn Lots - last withdrawal at 8:40 am, 11th Apr 2017. Nasdex (2013.g. by Not a Single Doubt-Indexed, by Marauding-Zedagal). 2017-03-29 1st MRC (Sandown) Elaren Security Services H.
Campbell Junior (2012.c. by Encosta de Lago-Melito, by Redoute's Choice-Cloister). 2017-03-19 1st Nakayama Makuhari S.
Areti (2013.f. by Street Sense-Ajamais, by Gold Away-Fabulous Hostess). 2017-03-26 3rd City of Ballarat H.
New Tipperary (2012.g. 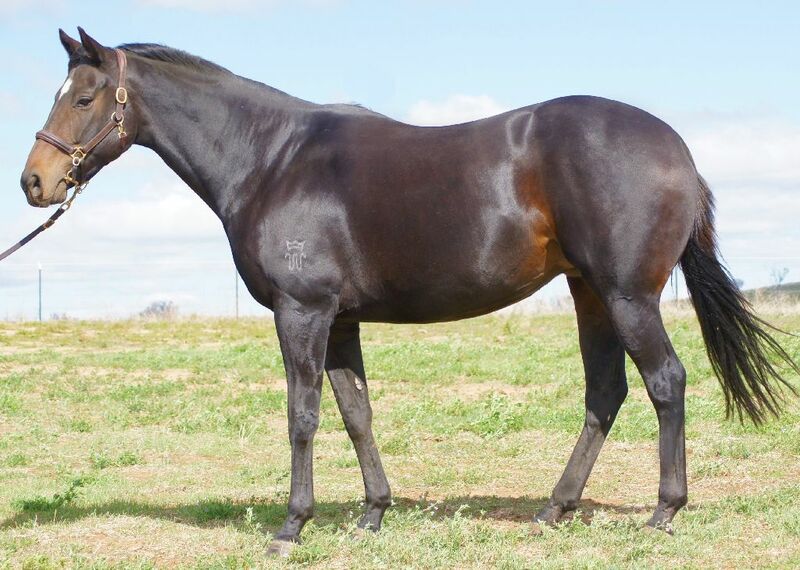 by High Chaparral-Assertiveness, by Danehill-Sommes Sound). READY TO ATTACK (2012.c. by More Than Ready-Gaze, by Cape Cross-Eye Full). NASHVILLE (2008.g. by Darci Brahma-Royal Kiss, by Royal Academy-Hawajiss). Bronsteel (2011.f. by Handsome Ransom-Silver Fox, by Desert Fox-Somerset House). 2017-03-18 1st WRC Chanui-New Zealand's Favourite Tea and Biscuit H.
Fleeteor (2012.f. by Northern Meteor-Mabkhara, by Anabaa-Bukhoor). 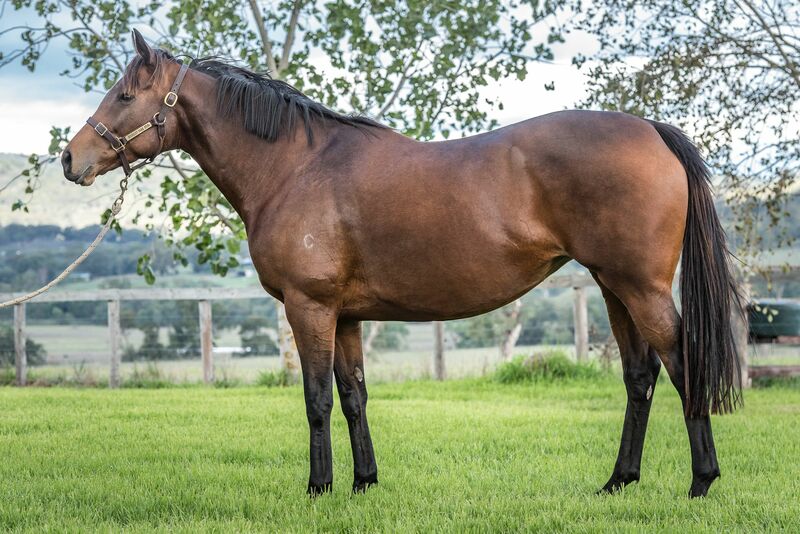 2017-03-21 1st Scone RC Kia Ora Stud P.
SENSE OF OCCASION (2010.g. by Street Sense-Saywaan, by Zabeel-Nasmah). Mubakkir (2010.g. by Commands-Albakoor, by Zabeel-Nasmah). Bullion Wolf (2013.g. by Stratum-Bullion Mansion, by Encosta de Lago-La Volta). 2017-03-18 1st SAJC (Morphettville) Adelaide Galvanising H.
Alfolk (2014.c. 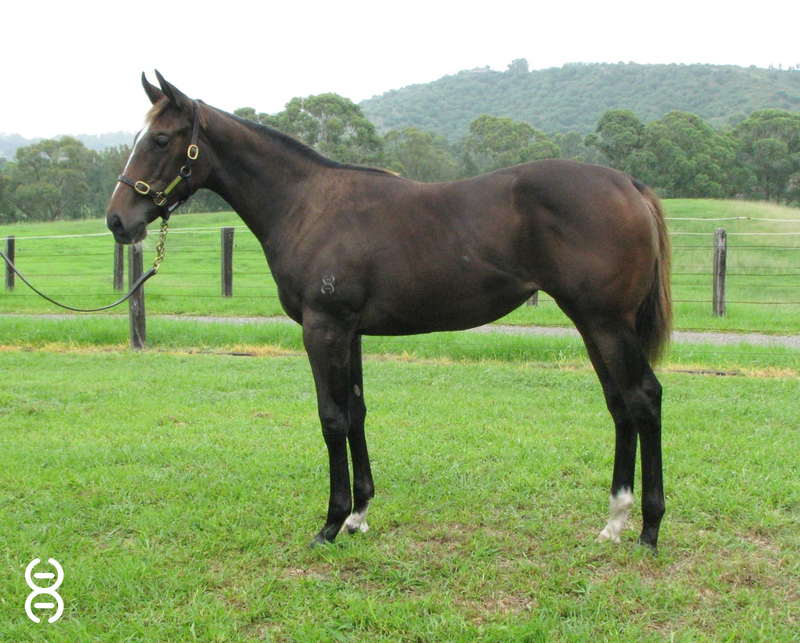 by Lonhro-Alteza Real, by Exceed and Excel-Shindig). RUSSIAN REVOLUTION (2013.c. by Snitzel-Ballet d'Amour, by Stravinsky-Exigent). Ashleigh Rae (2013.f. 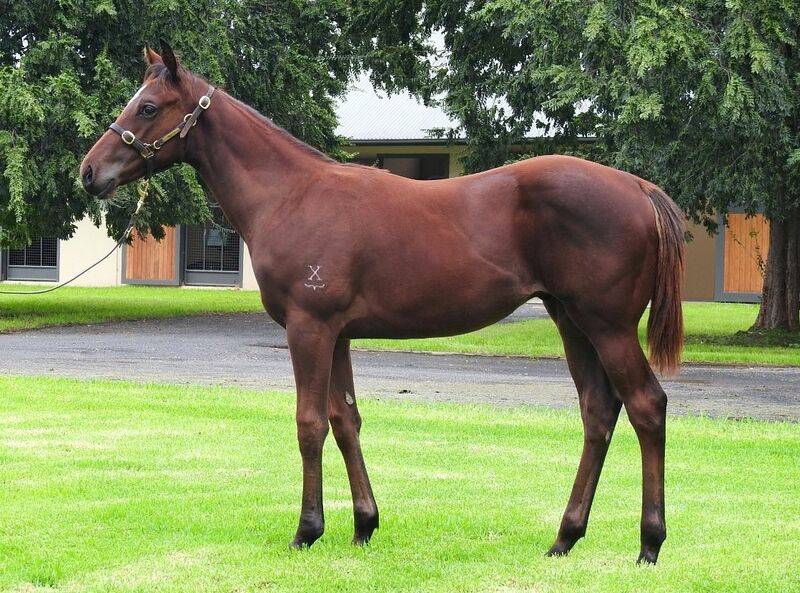 by Onemorenomore-Legible, by Zabeel-Waihora's Lass). 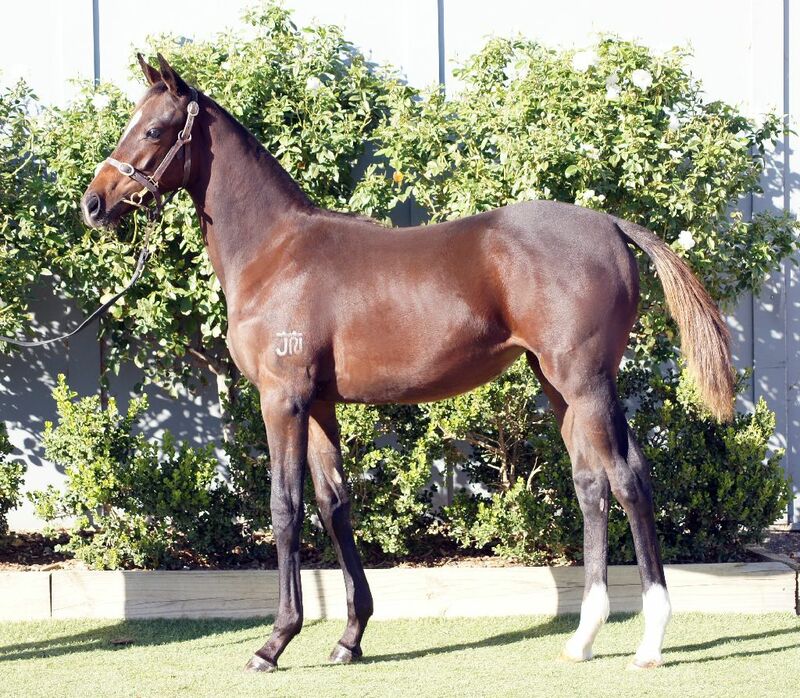 2017-03-31 1st Cranbourne TC Victorian Statewide Conveyancing Maiden P.
DUCIMUS (2014.c. 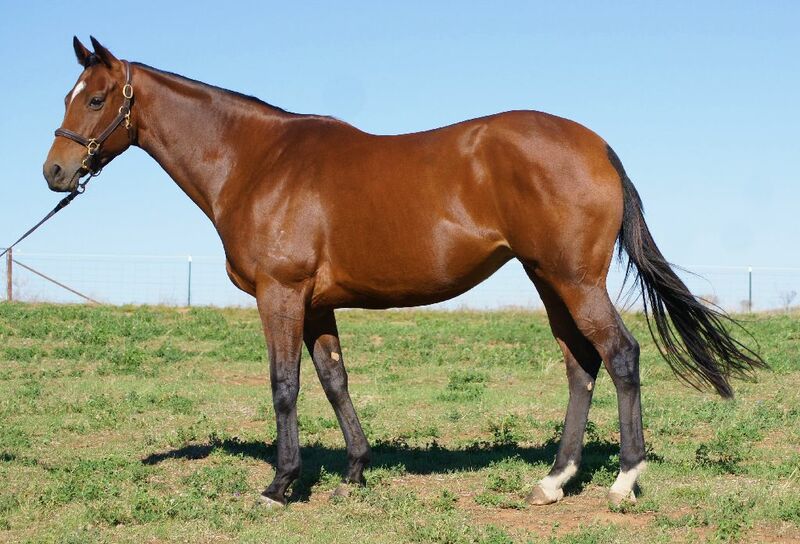 by Snitzel-Beauty World, by Danehill Dancer-Zippast). Make it Easy (2013.g. by Not a Single Doubt-Clevedon, by Keltrice-Skylark). 2017-04-01 2nd Illawarra TC Cancer Care Fund Maiden P.
Runway Ready (2013.f. by Zoffany-Dressed to Impress, by Turtle Island-Gold Tunic). 2017-03-07 1st Clarence River JC Happy 70th Russell Graham Maiden P.
California Archer (2013.g. 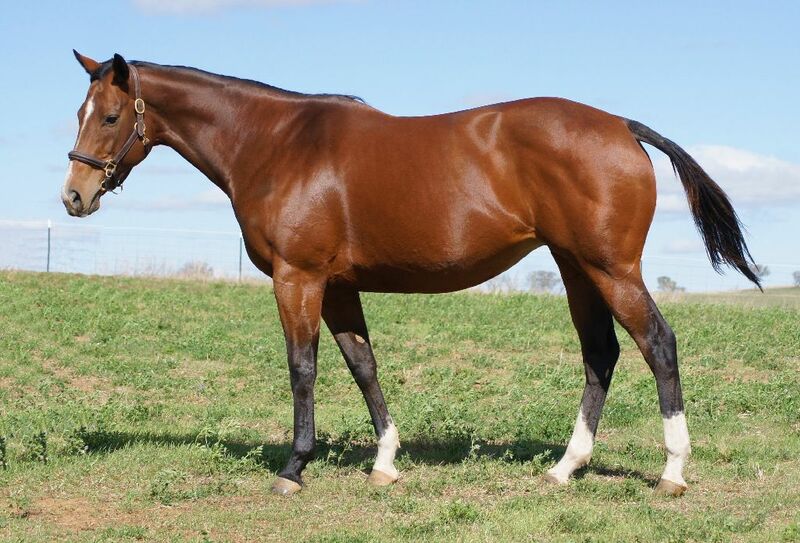 by High Chaparral-Sarasota, by Danehill-Piccadilly Circus). 2017-03-25 1st Newcastle JC TJS Services Maiden P.
BLIZZARD (2011.g. 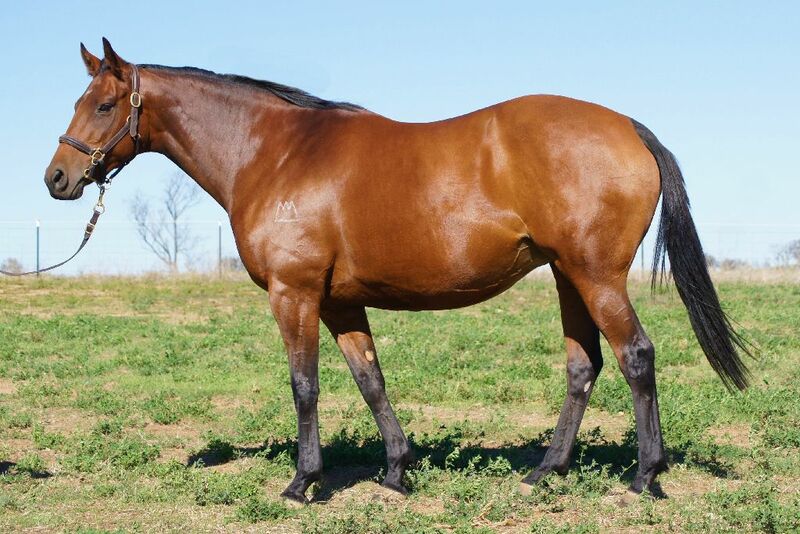 by Starcraft-Stormy Choice, by Redoute's Choice-Shalbourne). You da One (2010.g. by Footstepsinthesand-Shenkara, by Night Shift-Sheriyna). 2017-03-25 1st Selangor TC Class 5 H.
Highly Prized (2013.c. by Manduro-Razzle, by Danzig-Razyana). Anino (2014.f. 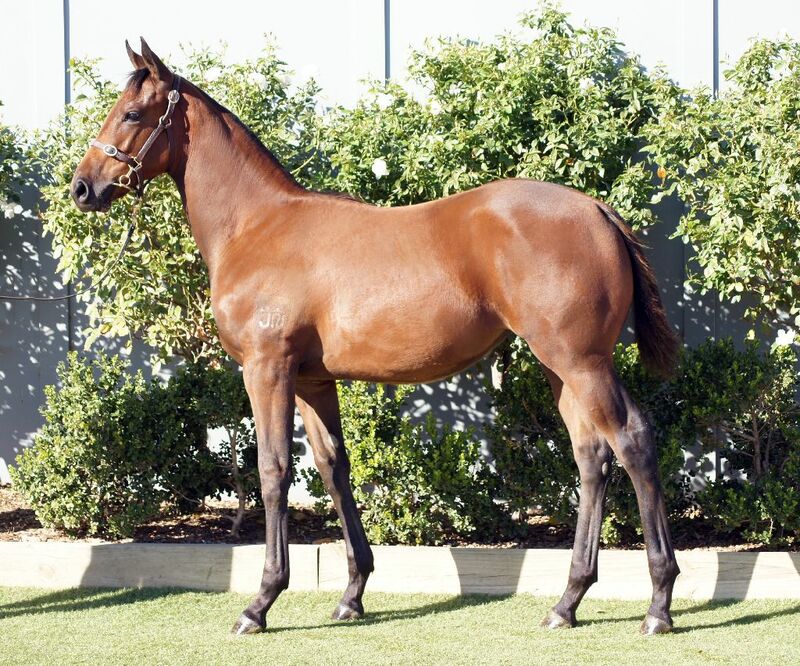 by Pluck-Defying Gravity, by Flying Spur-The Big Chill). 2017-03-24 1st Manila JC Maiden H.
Thumb Nail - Radiant Steed (H.K.) (2011.g. by Court Command-Thumb, by Octagonal-Dextrous). 2017-03-26 1st HKJC Conduit H.
BONNEVAL (2013.f. 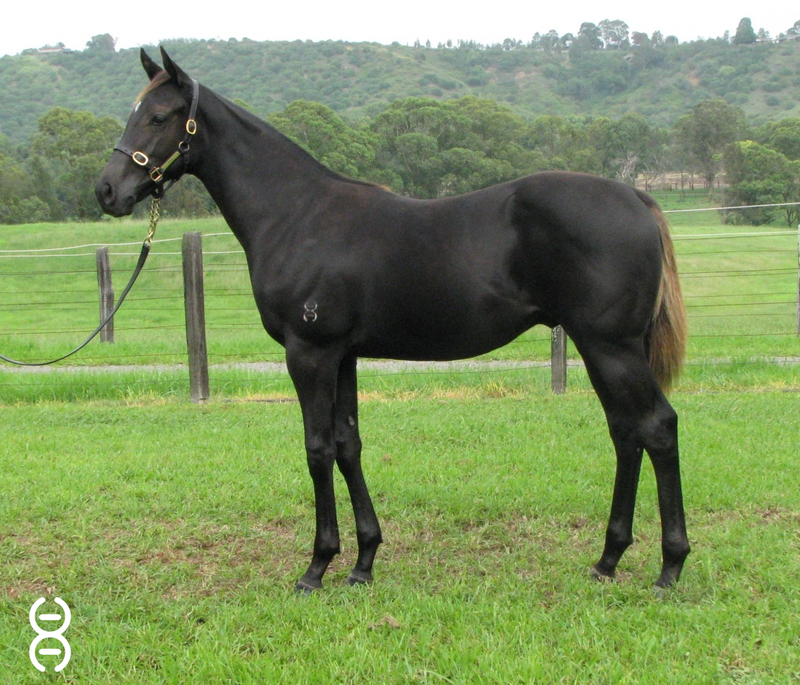 by Makfi-Imposingly, by Zabeel-Quiz Queen). Gunga Galunga (2012.g. by Starcraft-Lacey Underall, by Desert Sun-Flirted). 2017-04-04 2nd Townsville TC Become a Member Maiden H.
Ultimate Fantasy (2012.f. 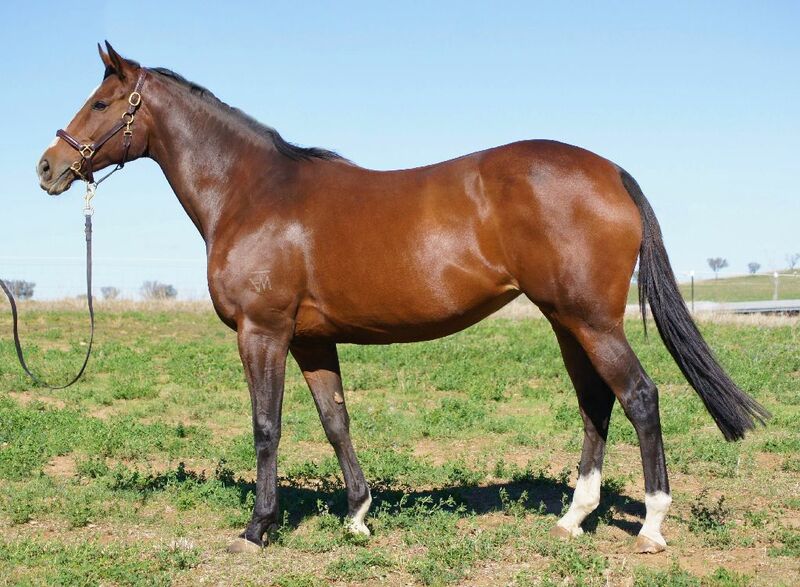 by All American-Lady Ice, by Redoute's Choice-Icy Reception). 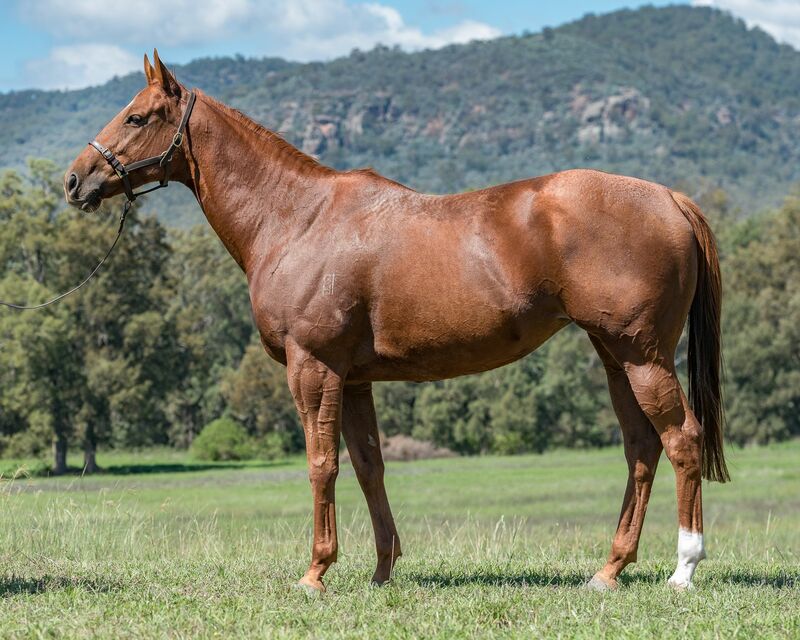 2017-03-21 3rd Scone RC Horsepower H.
Red Ochre (2011.f. by Choisir-Larenco, by Encosta de Lago-La Volta). 2017-04-04 3rd Clarence River JC Barrier Draw Luncheon H.
Violate (2013.c. 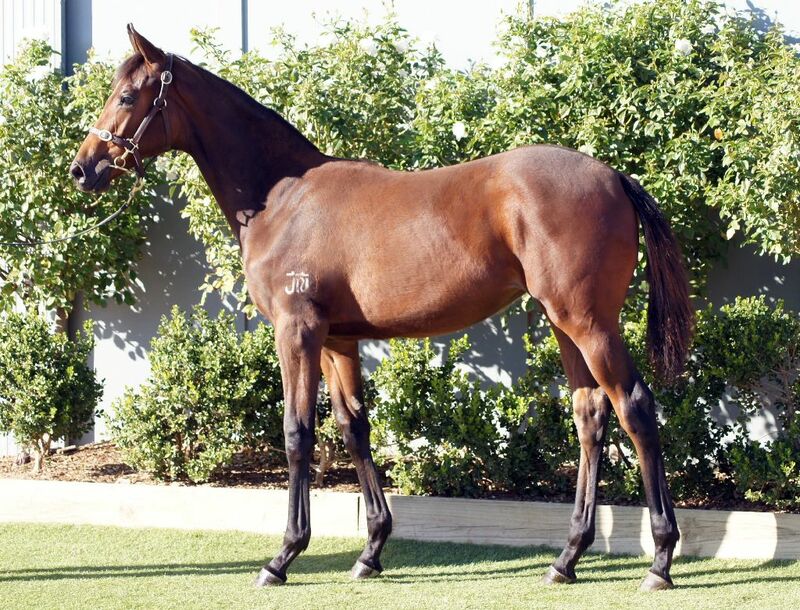 by Sebring-Shantha's Girl, by Redoute's Choice-Sky Cuddle). Favourite Uncle (2013.g. by Uncle Mo-Love One, by Fusaichi Pegasus-Love All). 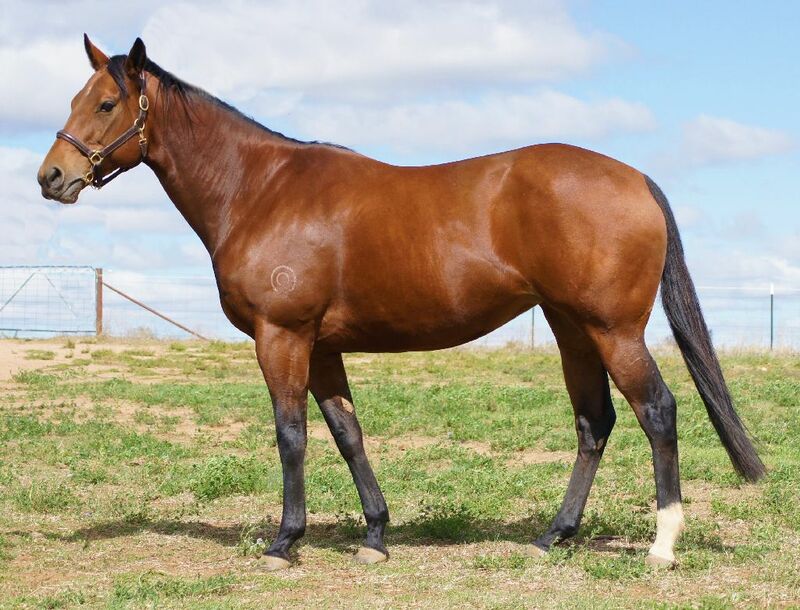 2017-04-10 1st Goulburn DRC Argyle Fire Services Maiden P.
Fallacy (2013.f. 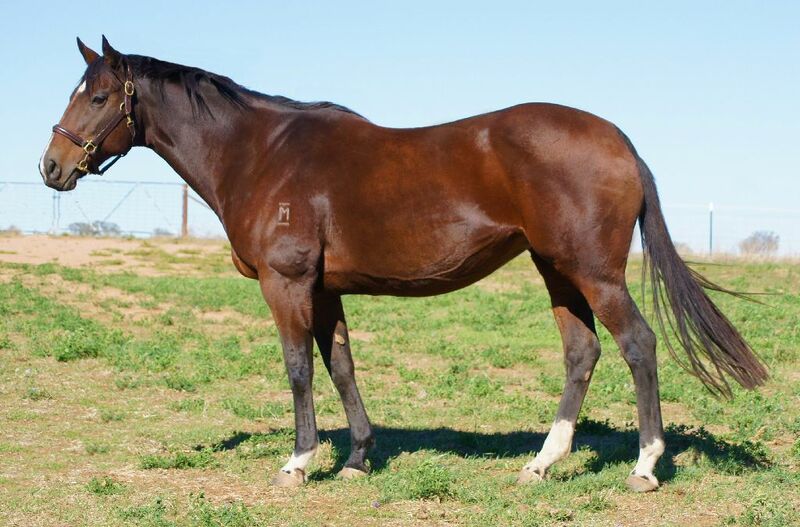 by Commands-Prestigious, by Rainbow Quest-Danseur Fabuleux). 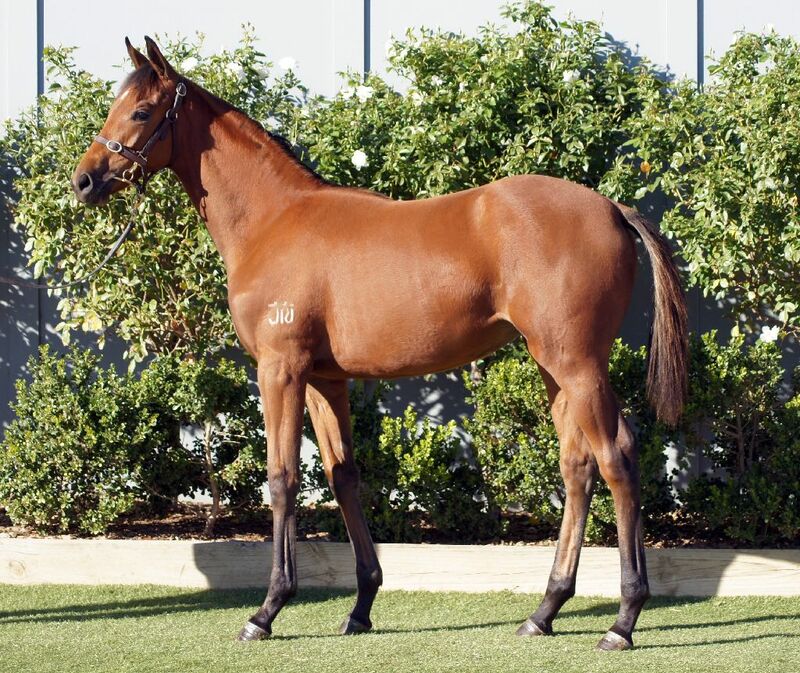 2017-03-22 1st BRC (Doomben) Blokes Day Out Maiden P.
Elle Snitz (2012.f. by Snitzel-Makemeasupermodel, by Catbird-Rouquin). 2017-04-07 1st Orange JC Kennards Hire H.
Kookabaa (2014.c. by Hinchinbrook-Makemeasupermodel, by Catbird-Rouquin). 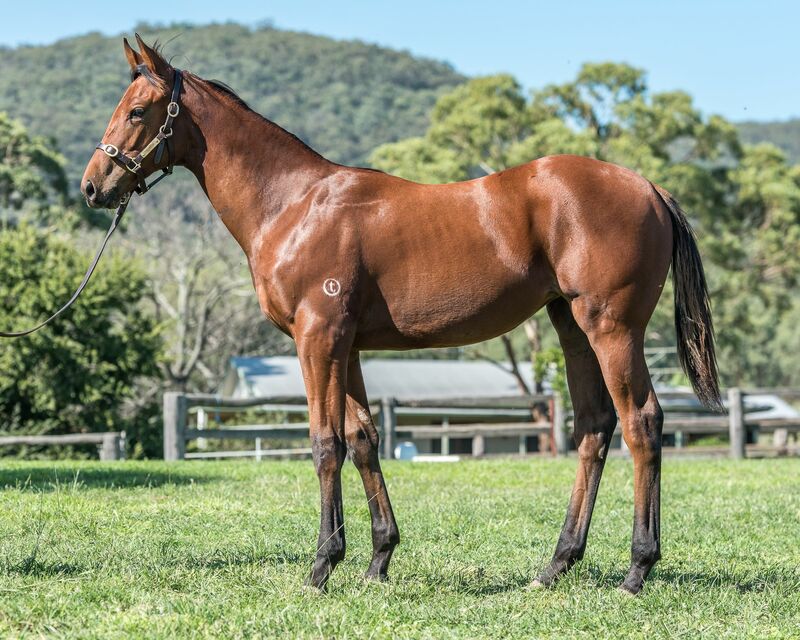 2017-04-05 2nd ATC (Warwick Farm) Pride of Dubai at Coolmore Maiden 2YO H.
2017-03-22 3rd ATC (Warwick Farm) #Theraces Maiden 2YO P.
Memento (2014.f. by Your Song-Snapshots, by Success Express-Hold That Smile). Selfie (2012.g. 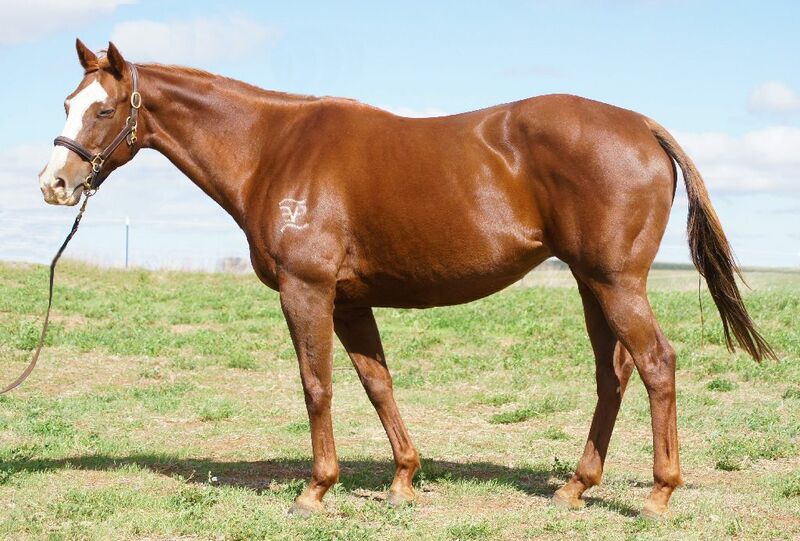 by Thewayyouare-Miss Brownie, by Redoute's Choice-Snapshots). 2017-04-09 1st Counties RC Thank You Brian Massey H.
Perfect Rhyme (2013.f. by Poet's Voice-Dagmar, by Danehill-Techniques). Dontpokethetiger (2013.f. by Beneteau-La Lune, by Dehere-Moonsprite). SAMANTHA (2013.f. by Snitzel-Icedginger, by Tale of the Cat-Broccacia). Guided (2011.g. by Henrythenavigator-Highest Accolade, by Shirley Heights-Victoress). 2017-03-28 1st Tamworth JC Tab.com.au H.
PRETTY PUNK (2013.f. by Rebel Raider-Reliability, by Kurofune-Capability). Bravissimo (2012.g. by Fastnet Rock-May Kiersey, by Sadler's Wells-Gwynn). Kitteau (2013.g. by Beneteau-Our Kitty, by Tale of the Cat-My Girl Elise). 2017-03-31 2nd Gosford RC Wedding Fair at the EG H.
Real Cute (2013.f. 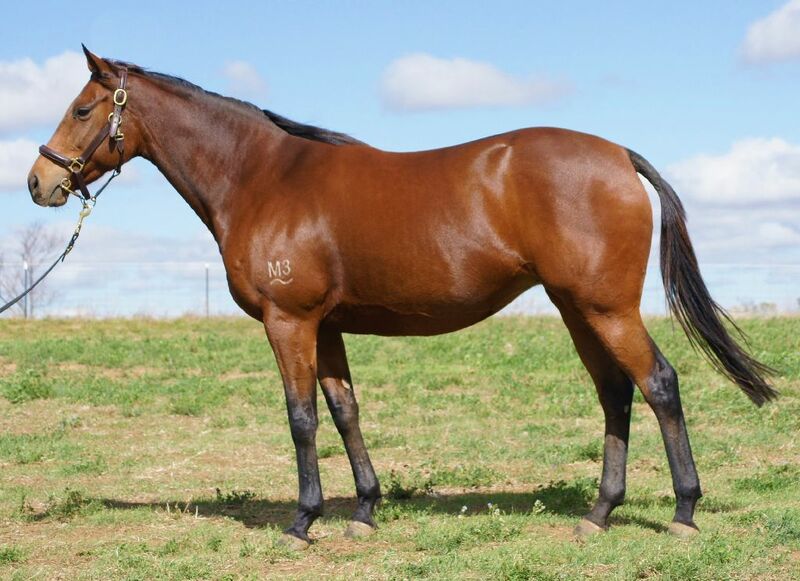 by Real Saga-Material Girl, by Flying Spur-Cena). 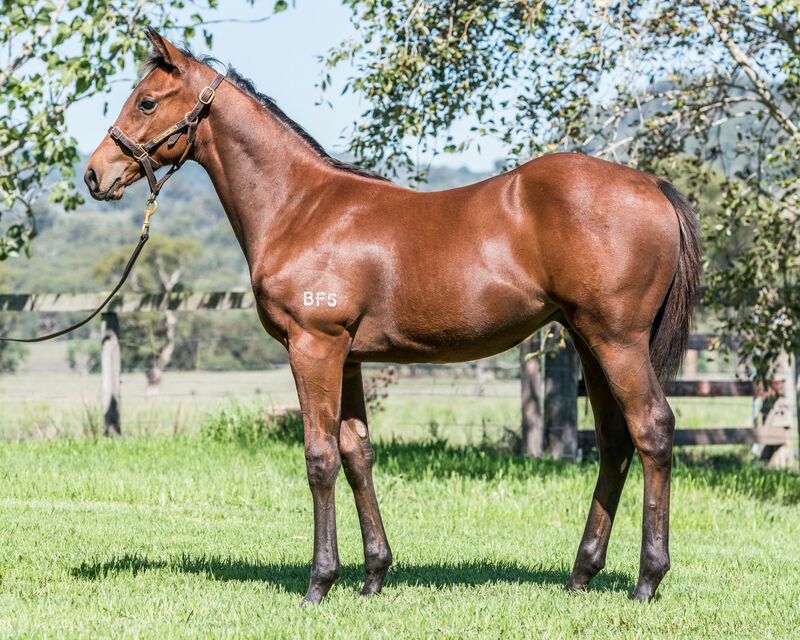 2017-03-13 1st BRC (Eagle Farm) Sky Thoroughbred Central H.
SEBRING SUN (2012.c. 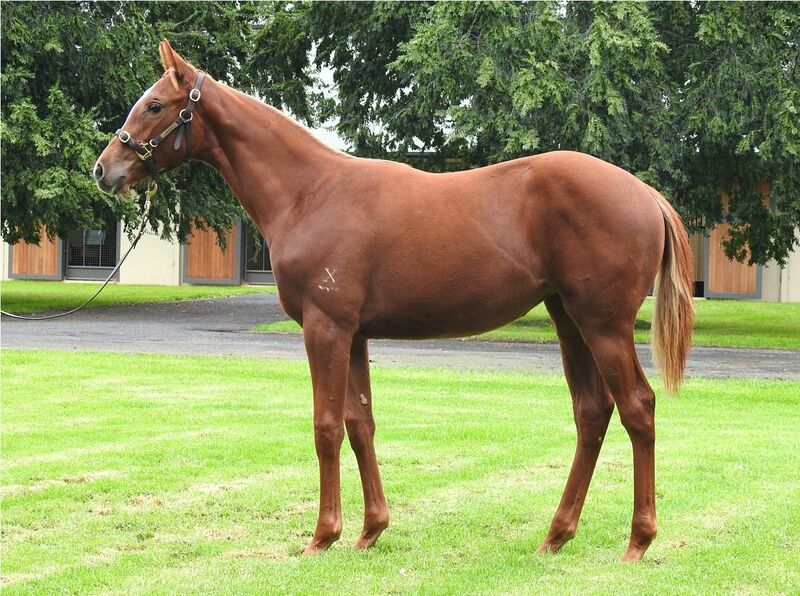 by Sebring-Soleil Royale, by French Deputy-Royal Solitaire). 2017-04-01 1st Bendigo JC Mypunter.com H.
FIRST SEAL (2011.f. by Fastnet Rock-Episode, by Scenic-Apache Girl). FREEDOM BEEL (2013.c. by Pour Moi-Querida, by Rainbow Quest-Qirmazi). Mustarrid (2013.g. 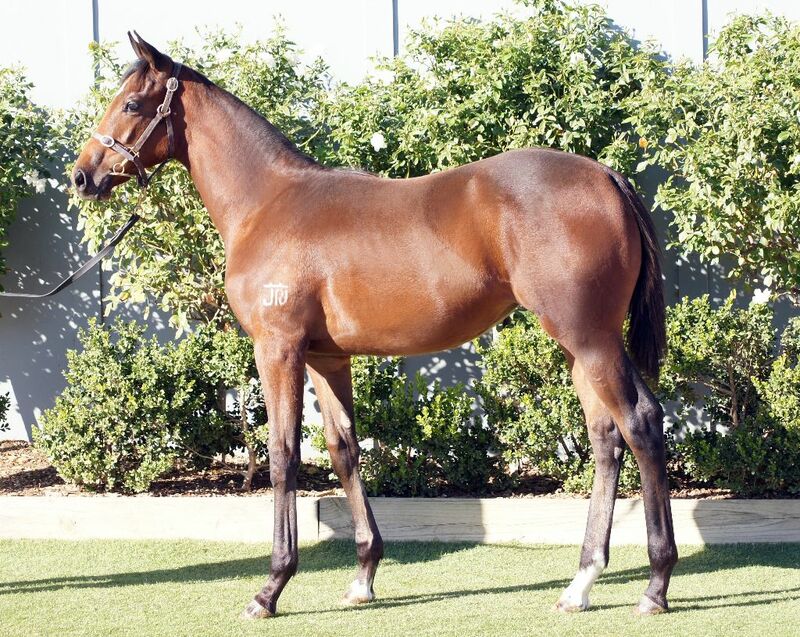 by Hinchinbrook-Saint Minerva, by Galileo-Amicable). 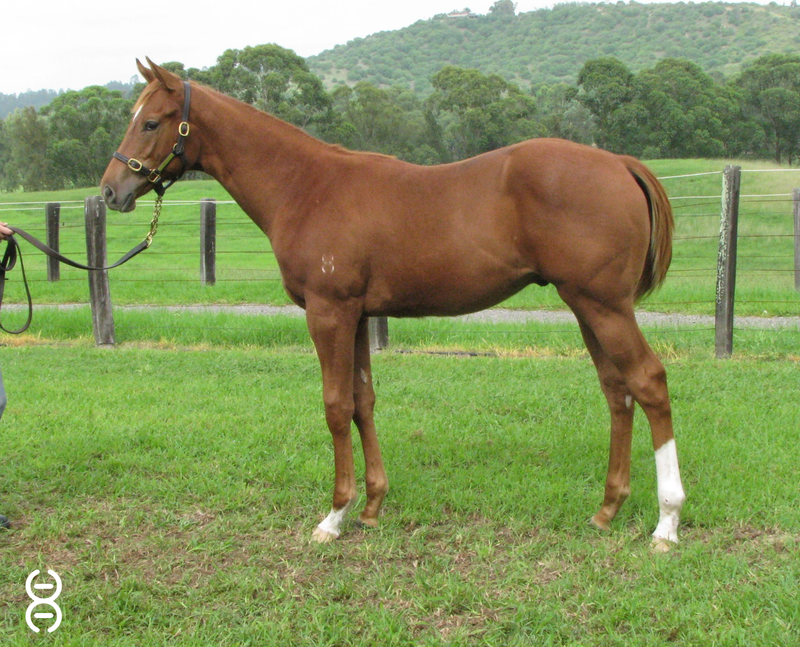 2017-03-18 2nd Toowoomba TC MandK Constructions Maiden H.
GREAT SHOT (2012.g. by Magnus-Satin Covers, by Dr Grace-Satin Sand). Ariconte (2012.g. by Murtajill-Nine Covers, by Twining-Satin Covers). 2017-03-22 1st TTC (Launceston) National Apprentice Series Heat 4 H.
Hill Spy (2010.g. by O'Reilly-Shanzero, by Danzero-Arising). 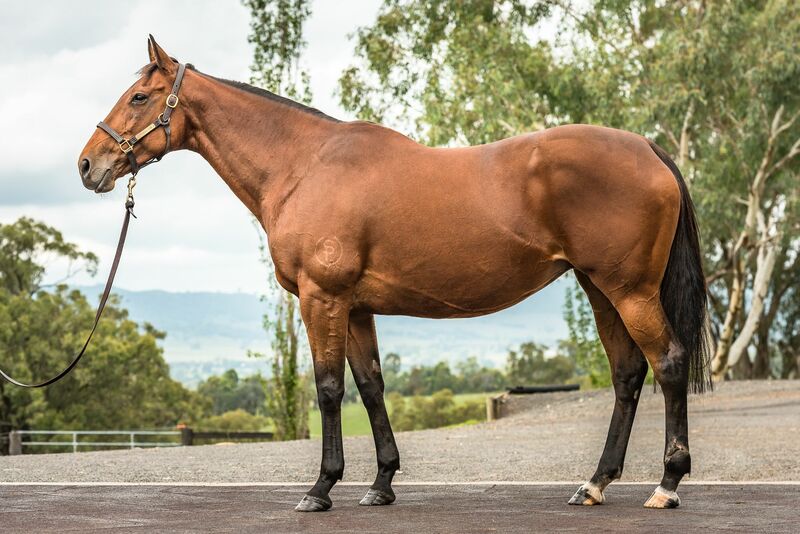 2017-03-24 2nd Albury RC David Wallace City H.
Hill of Tara (2013.f. by O'Reilly-Shanzero, by Danzero-Arising). 2017-03-28 3rd Tamworth JC S Brennan Constructions H.
COMPELLED (2014.f. by War Front-Mutually Benefit, by Dynaformer-Macoumba). Beau Rivage (2012.g. 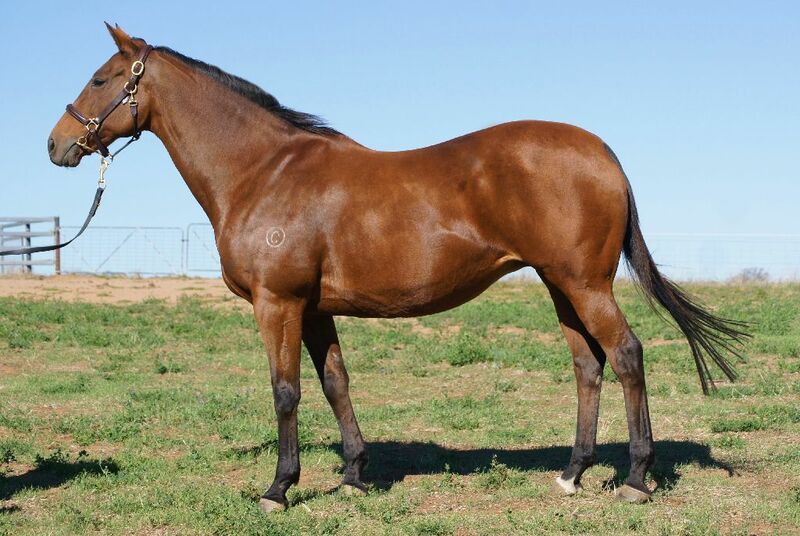 by Monaco Consul-Swan River, by Danehill Dancer-Sovereign Countess). 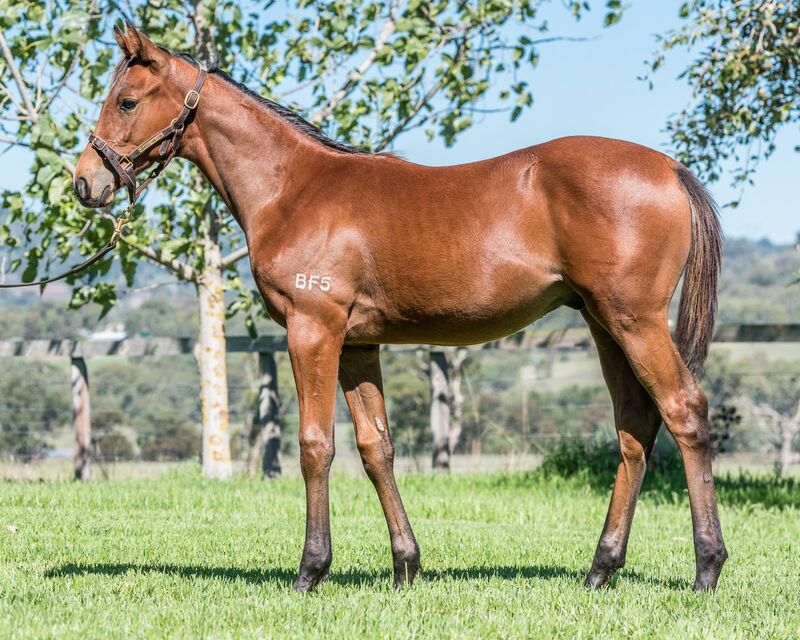 2017-03-13 1st SAJC (Morphetteville) MAC Drink Driving Grow Up H.
2017-04-08 3rd SAJC (Morphetteville) Darley Goodwood Raceday H.
Dreams Aplenty (2013.g. 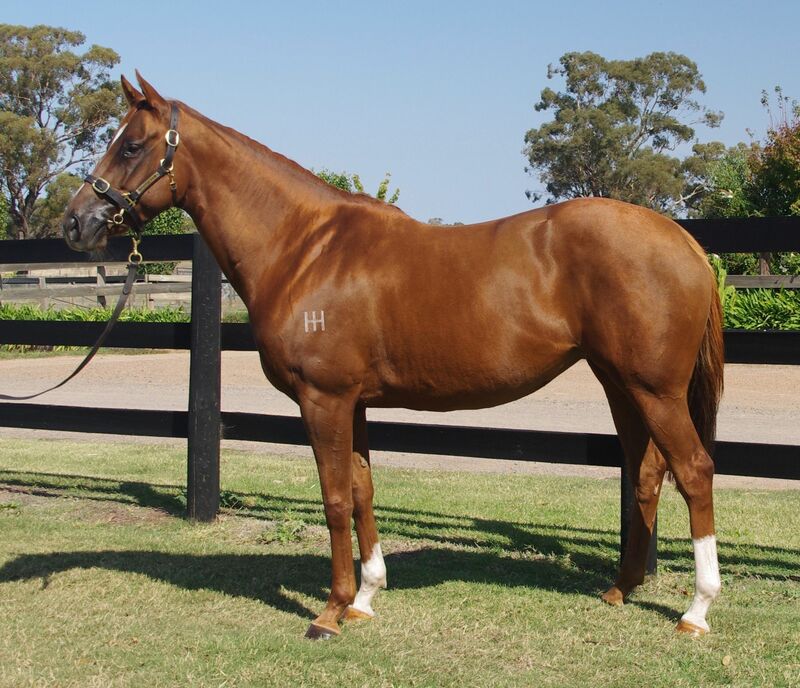 by Dream Ahead-Tipsy Moment, by Redoute's Choice-For the Moment). 2017-03-29 1st BRC (Doomben) Treasury Ladies Oaks Day P.
NURSE KITCHEN (2013.f. by Savabeel-Flying Monty, by Montjeu-Anna's Choice). OLYMPIC FLUKE (2012.c. by Manduro-Just Pray, by Theatrical-If Angels Sang). Smokey Land (2013.c. by Land of the Giants-Smokey Soup, by Alphabet Soup-Erinyes). Odeon (2013.g. by Zacinto-Theatre Buff, by Theatrical-If Angels Sang). 2017-03-14 1st Bendigo JC Leon Weigard H.
Vigilance (2013.f. 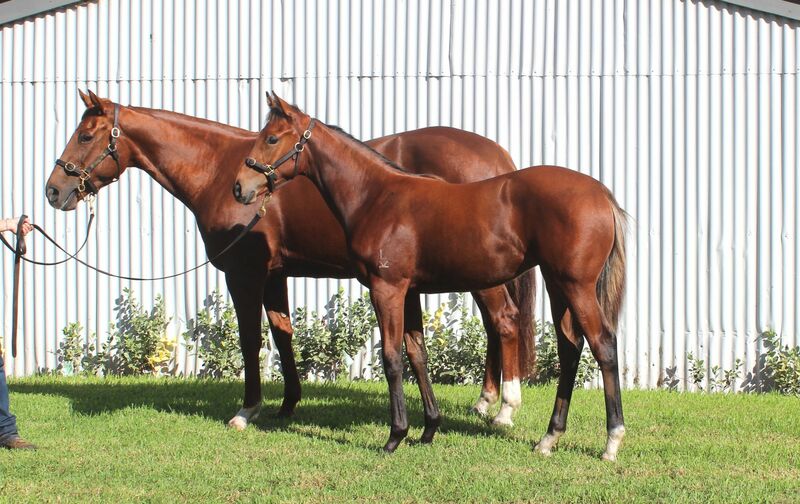 by Sepoy-Watchful Eyes, by Street Sense-French Bid). 2017-03-29 1st ATC (Newcastle) Strathayr H.
2017-03-11 1st Newcastle JC Prosperity Advisors Group H.
Ozark (2013.g. 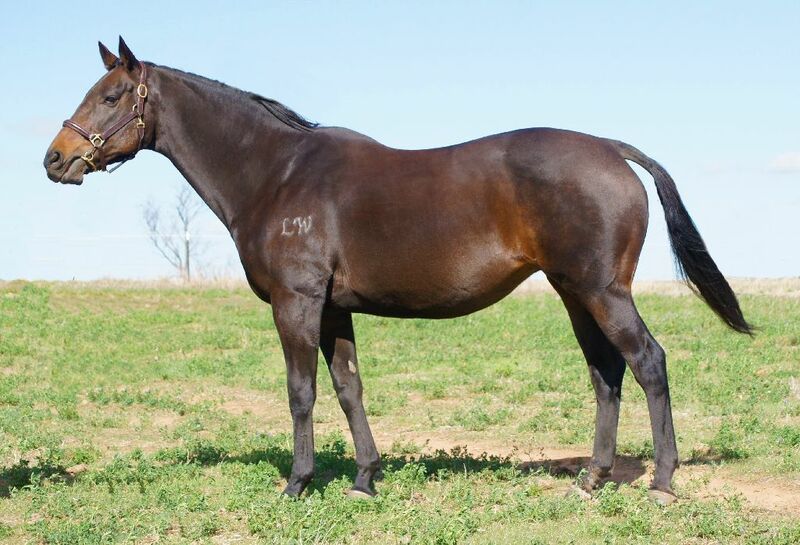 by Lonhro-Ouachita, by Canny Lad-Peach). 2017-04-08 2nd Newcastle JC Ryan Ansell Investment Solutions H.
ANAHEIM (2013.c. 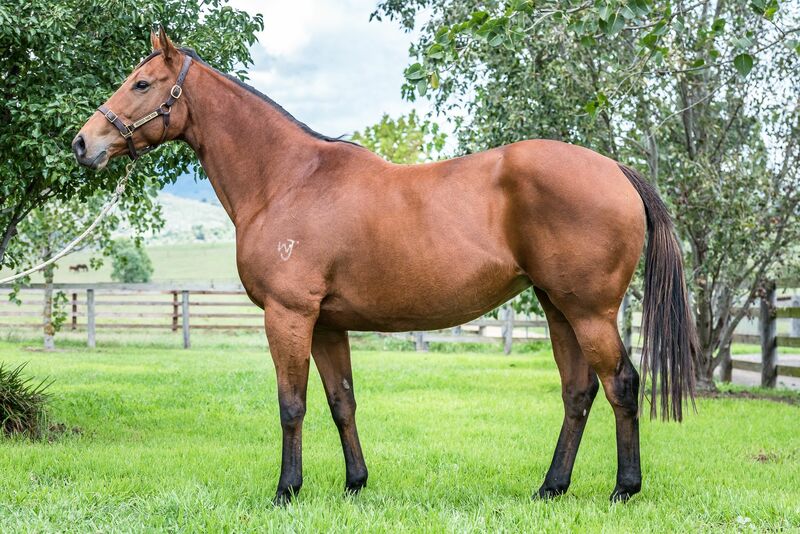 by Fastnet Rock-Asmahan, by Zabeel-She's Country). Snitzepeg (2014.c. by Snitzel-Pegasus Queen, by Fusaichi Pegasus-Imperatrice). 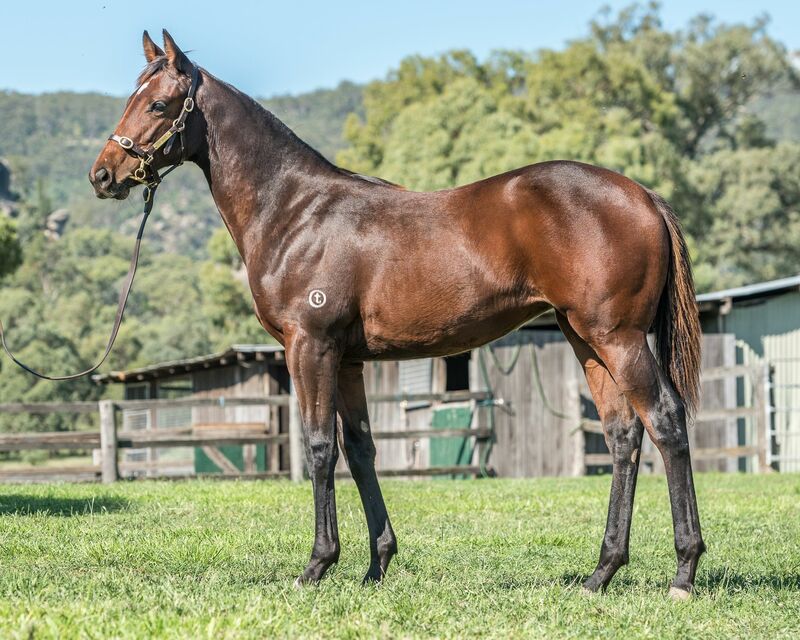 2017-04-09 2nd Echuca RC Media Big Screen Hire Maiden 2YO P.
2017-04-01 1st Illawarra TC Kiama Leagues Club Maiden H.
LYCURGUS (2013.g. 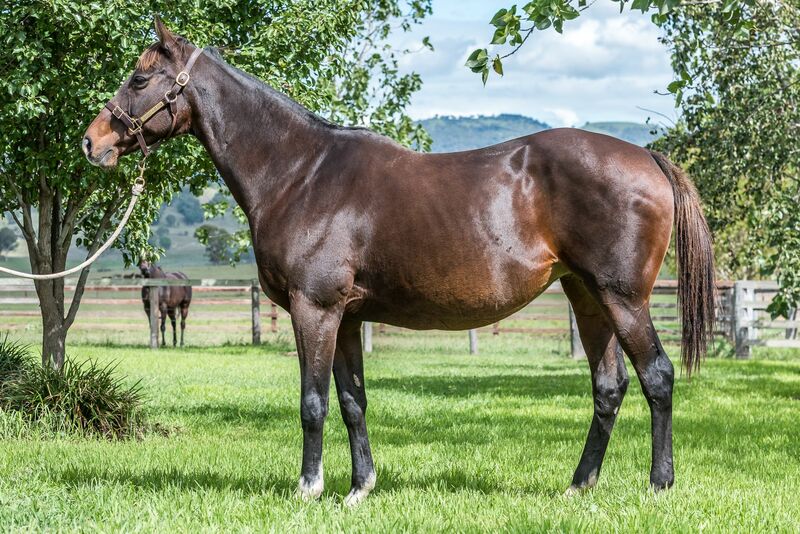 by Star Witness-Geblitzt, by Testa Rossa-Aim for Gold). 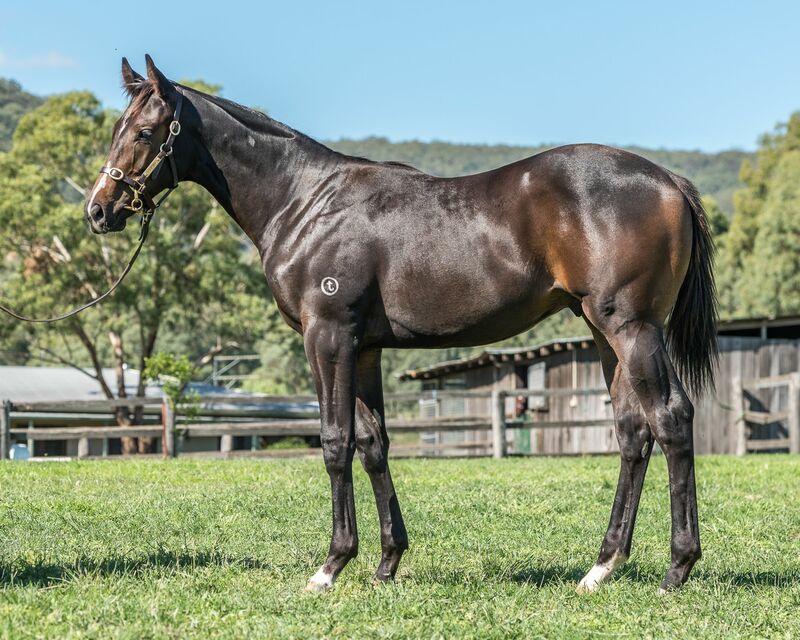 2017-03-20 1st Kyneton and Hanging Rock RC Bet365 H.
Pretending (2013.c. by Librettist-Brumeux, by Machiavellian-Casamurrae). GOLDONI (2009.g. by Dylan Thomas-Lasso, by Indian Ridge-Rosse). 2017-03-25 1st Alexandra PRC Charly Daniel’s 60th Open Trophy Race H.
MISSION GDRAGON (2012.c. by Jet Spur-Fair Ransom, by Red Ransom-Nuryandra). Bridie's Brook (2012.f. 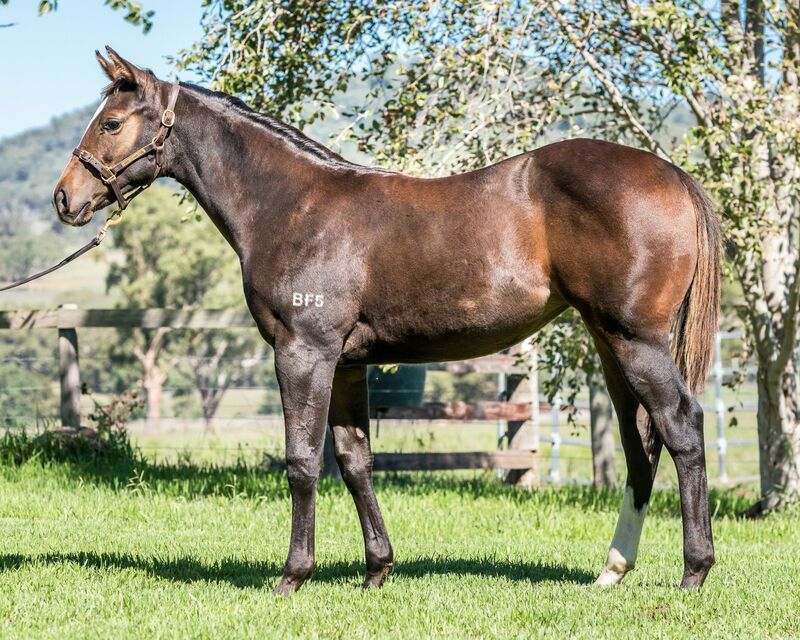 by Hinchinbrook-Bridie Belle, by Al Akbar-Golinda). 2017-03-14 3rd Tamworth JC Calrton Mid Maiden P.
2017-03-28 3rd Tamworth JC Allsopp Signs Maiden P.
Gold Sister (2014.f. by Canford Cliffs-Golden Digger, by Mr. Prospector-Carduel). Statutorial (2010.g. 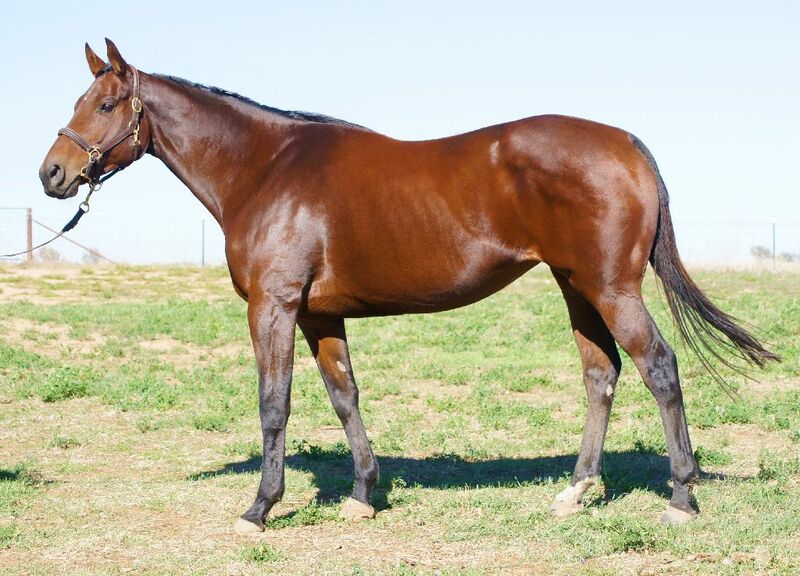 by Exclusive Quality-Gattina Bella, by Tale of the Cat-Exclusive Hold). Alizee (2014.f. 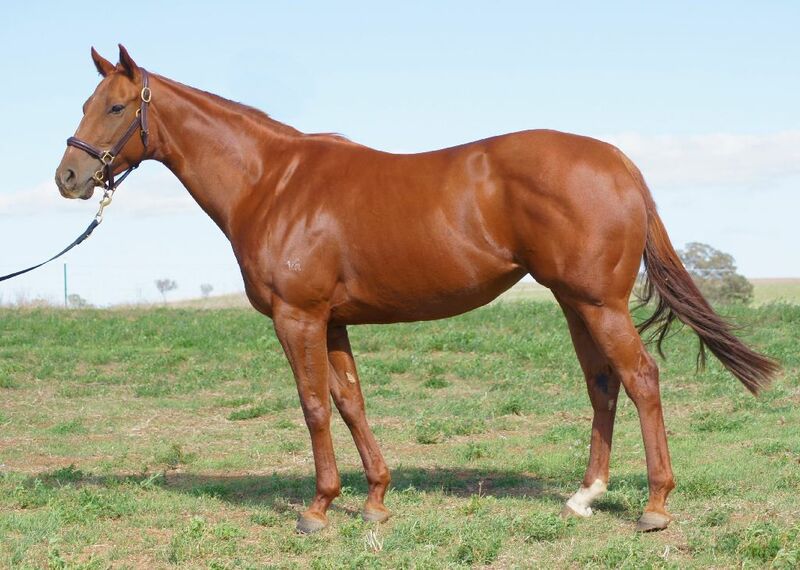 by Sepoy-Essaouira, by Exceed and Excel-Alizes). Fawaareq (2013.f. 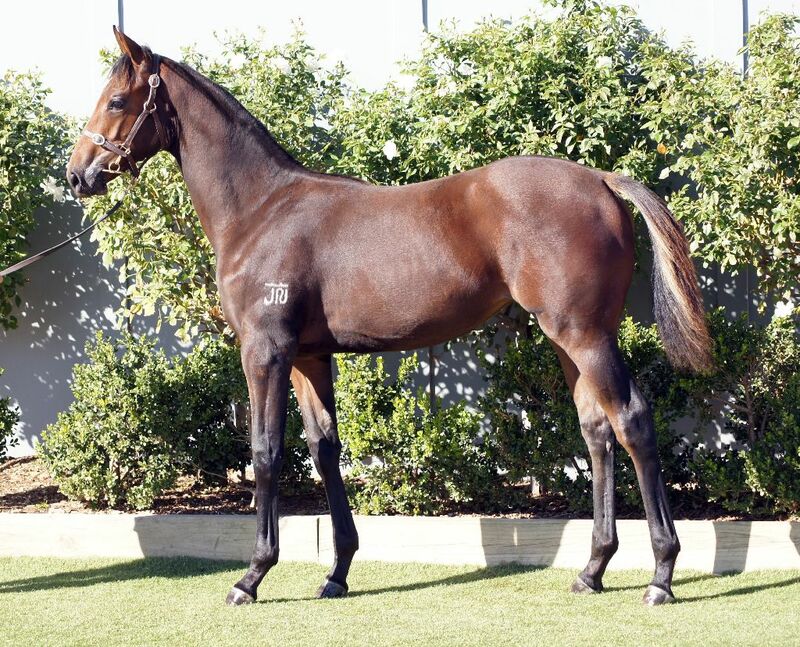 by Lonhro-Maraaseem, by Redoute's Choice-Warm Smytzer). 2017-04-07 1st Cranbourne TC Highview Accounting Services Maiden P.
TRAPEZE ARTIST (2014.c. by Snitzel-Treppes, by Domesday-Traipse). Sweet Moment - Sweet Korean (Mac.) (2011.g. by Wilander-Tears of Argentina, by Umatilla-Apalachicola). 2017-03-18 2nd Macau Berlin H.
JACQUINOT BAY (2007.g. 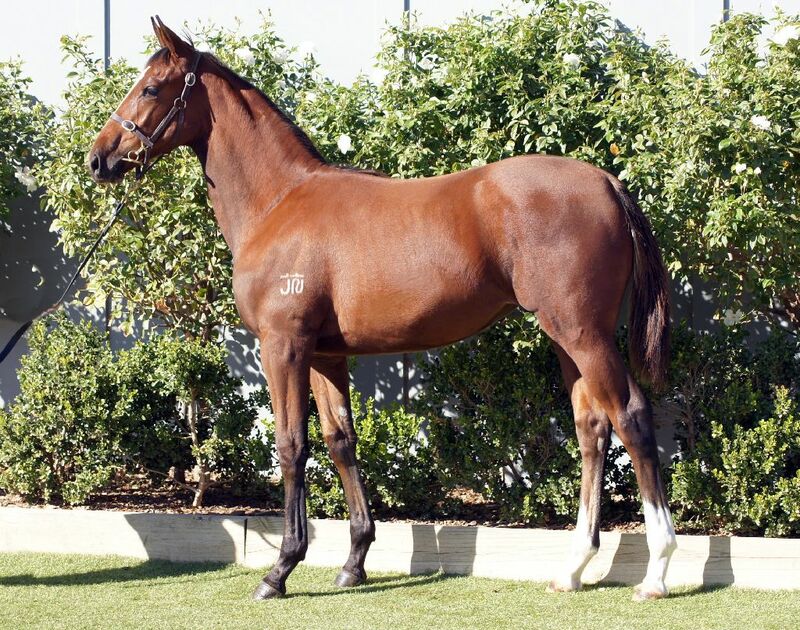 by Galileo-La la Land, by Last Tycoon-Cescade's Dream). SHOALS (2014.f. 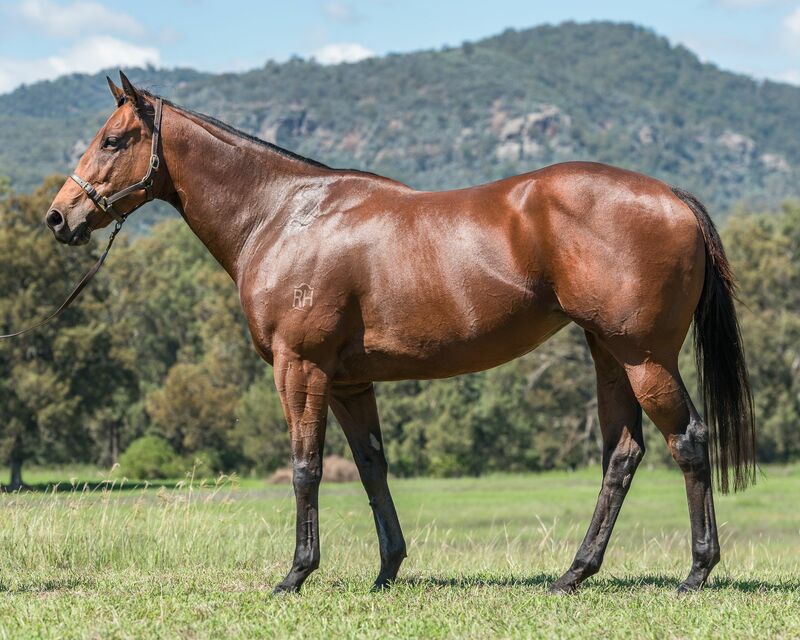 by Fastnet Rock-The Broken Shore, by Hussonet-Shantha's Choice). Villa Carlotta (2014.f. 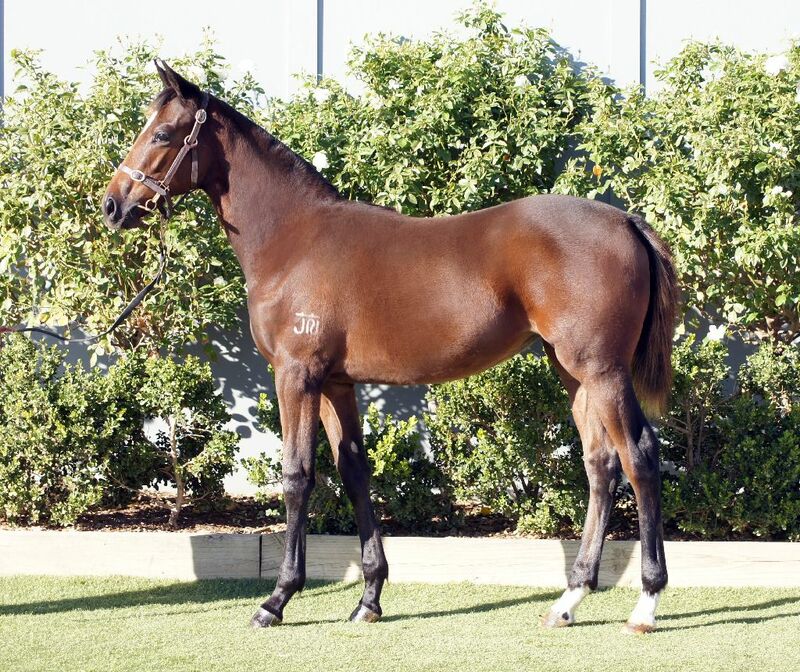 by Street Cry-Florentina, by Redoute's Choice-Celebria). Unrealistic (2012.g. 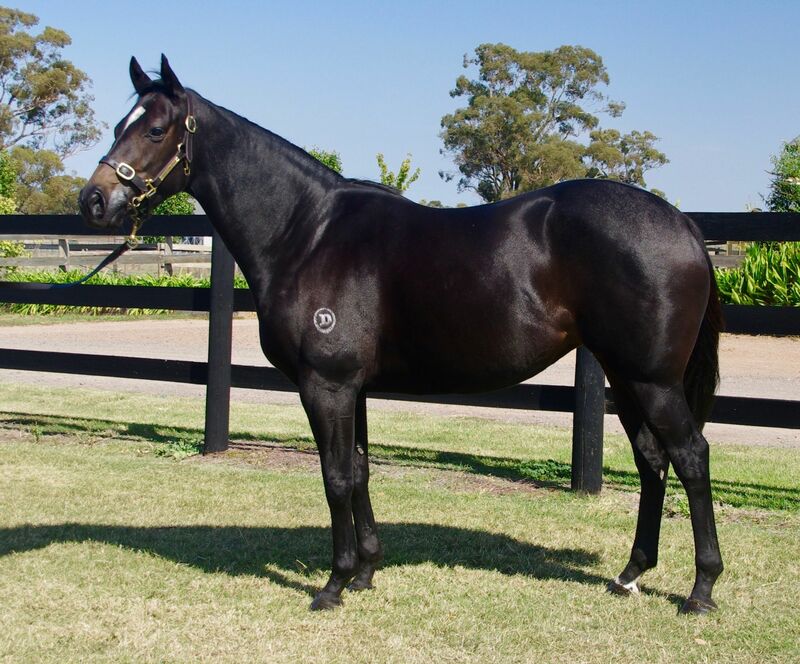 by Lonhro-Dreamy, by Bel Esprit-Song of the Sun). 2017-03-11 1st Edenhope RC Rodwells Edenhope H.
Solo Song (2012.f. by Oratorio-Coeur d'Or, by Show a Heart-Boxwood). 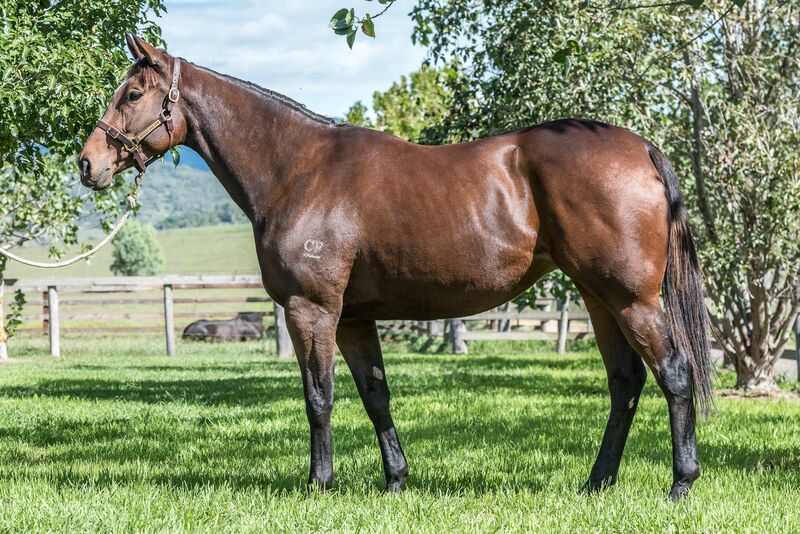 2017-03-17 2nd Newcastle JC Turfcare NSW Maiden H.
Alegria (2011.f. by Medaglia d'Oro-Pure Joy, by Fusaichi Pegasus-Angelic Smile). Almanzora (2014.f. by Lonhro-Palomares, by Commands-Cataclysm). 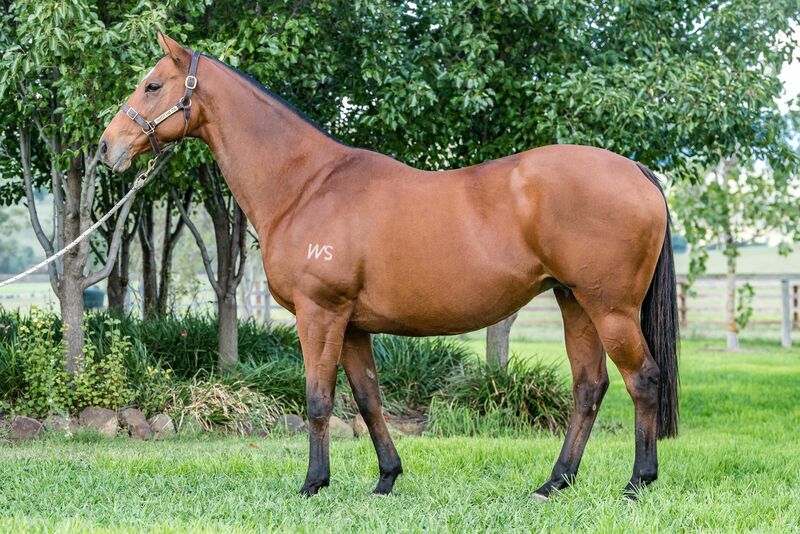 2017-03-08 1st ATC (Warwick Farm) Hinchinbrook at Yarraman Park 2YO H.
Galinka (2014.f. 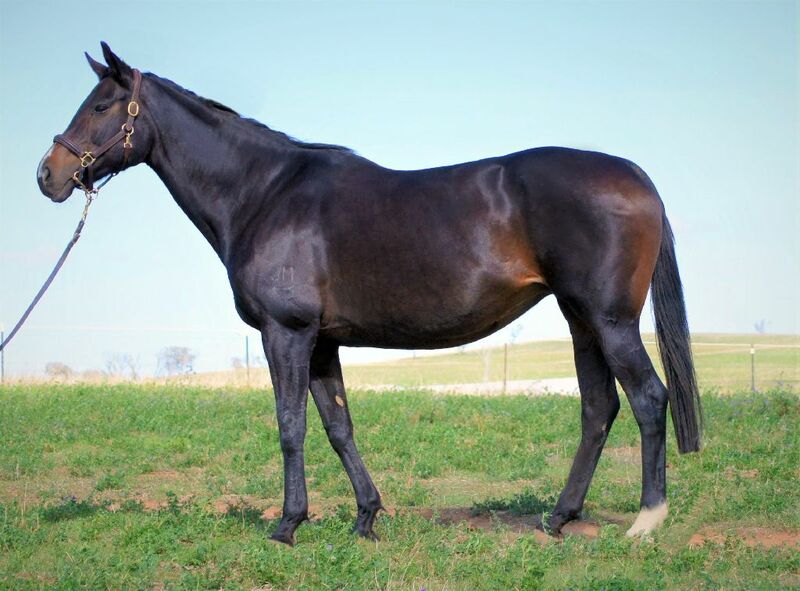 by Soldier Hollow-Syllable, by Halling-Quarter Note). Orphea (2013.f. 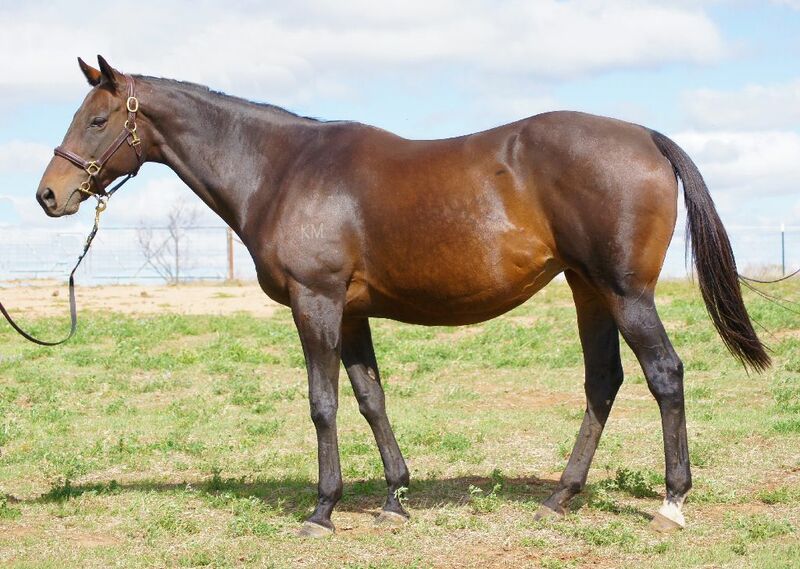 by Fastnet Rock-Midnight Ballet, by Peintre Celebre-Midnight Fever). 2017-04-09 1st Counties RC Securi-Com H.
Fly By (2014.f. by Charge Forward-Midnight Joy, by Zeditave-Midnight Fever). 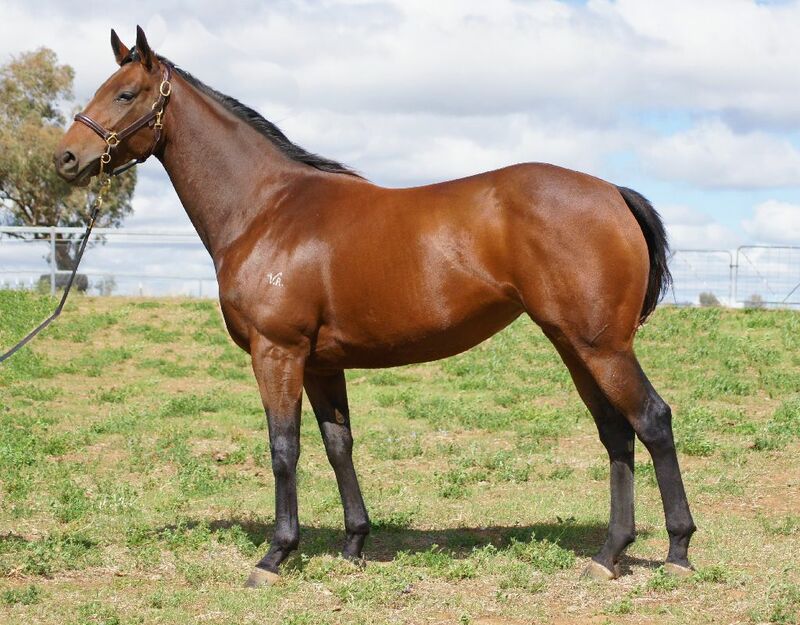 2017-04-08 1st Werribee RC Tobin Brothers Maiden 2YO P.
Candika (2013.f. by Sebring-Divya, by Danzero-Tirumani). Ingels (2013.g. 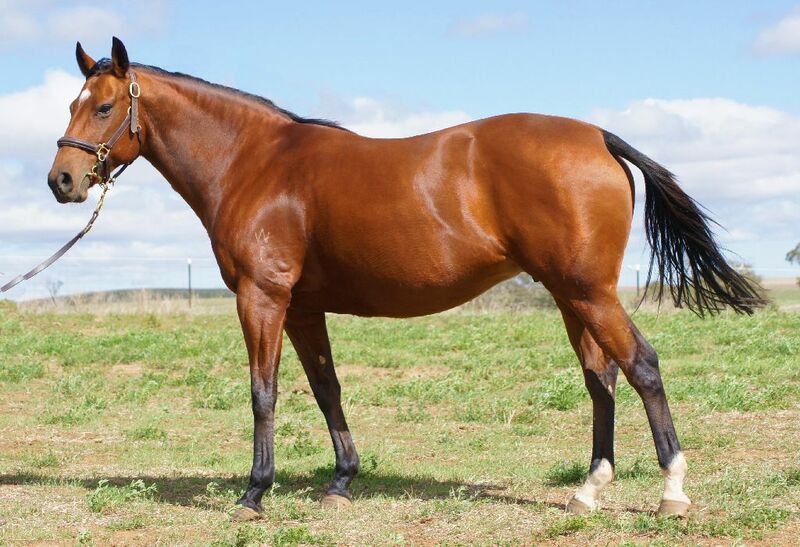 by Master of Design-Miracle Magic, by Dash for Cash-Split Rock). 2017-04-01 1st Bairnsdale RC Four 'n Twenty Maiden P.
Screamarr (2013.g. by Street Cry-Lamarr, by Quest for Fame-Lupenta). 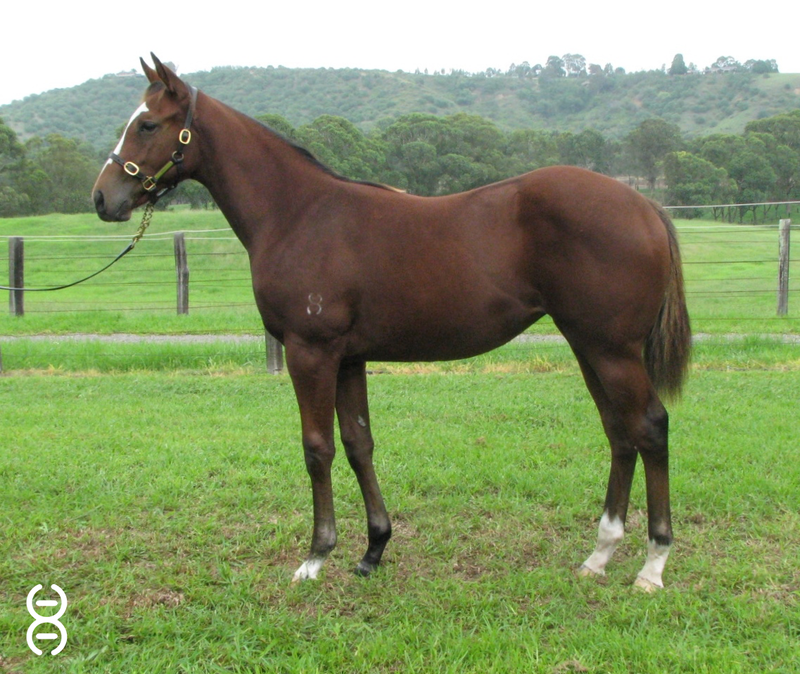 2017-03-10 1st Illawarra TC Metro and Provincial Maiden P.
FROLIC (2014.f. 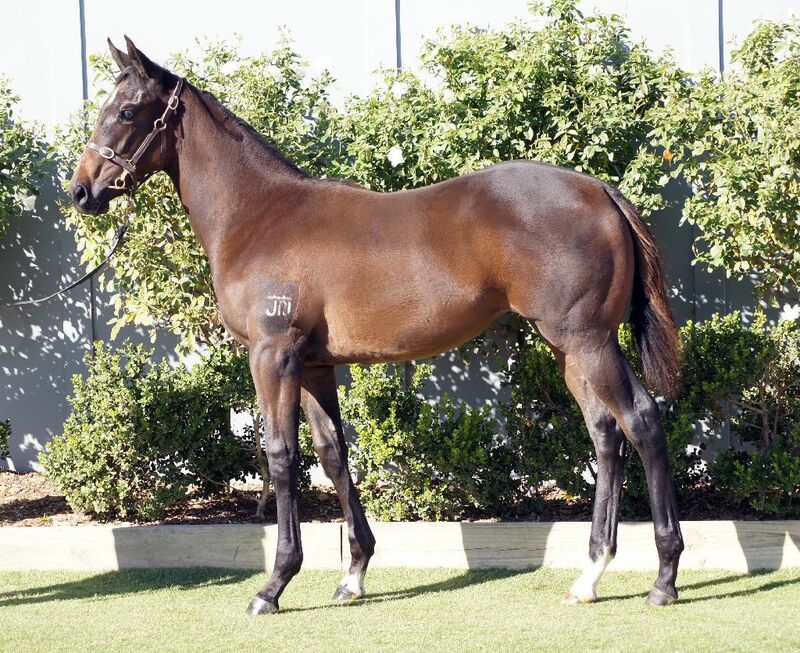 by Husson-Leveller, by Redoute's Choice-Startling Miss). Crafty Cop (2013.g. by Starcraft-Fashion Police, by Elusive Quality-Crixia). Wo Wo Duck (2011.c. by Real Spicy-Triregal, by Regal Classic-Bektris). 2017-03-24 1st Manila JC San Lazaro H.
2017-03-07 1st Manila JC San Lazaro H.
2017-03-02 1st Manila JC San Lazaro H.
Conca del Sogno (2012.g. 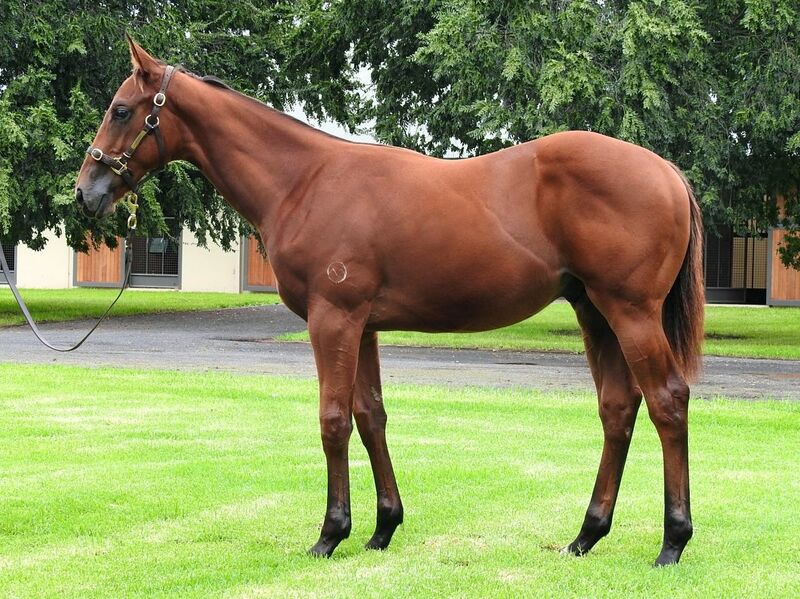 by Magic Albert-Informant, by Flying Spur-Tell Someone). 2017-03-18 1st Rockhampton St Patrick's Day RC Tony Madden Architects H.
Megablast (2011.g. by Shinko King-Thirst, by Desert Sun-Bal Fy).